Purchasing new kitchen cabinets is a way to achieve the look of the designer kitchen you have always dreamed of! Whether you are looking to completely remodel your kitchen or you are simply only looking to update your kitchen cabinetry, there are a few things to consider before making a purchase. In this blog, we are going to review some essential things to do before paying for kitchen cabinets and installation. Typically, a quality kitchen remodel can last up to 15 years or more with only the need for a few cosmetic upgrades here and there. Sure, you can change the paint and flooring, but cabinetry from top kitchen cabinet manufacturers is built to last, so you should choose a material and style that you absolutely love. Do you wish to have a kitchen that has more of a modern design or country charm? Hardwoods including oak, maple, and cherry are persistent favorites for kitchen cabinetry and can be stained in many shades to reflect your personal style. The material you choose for your kitchen cabinets will influence the overall cost, so be mindful of your established budget. One of the most common and affordable kitchen cabinet material is Melamine. Thermally-fused melamine particle board for kitchen cabinet construction is often recommended to homeowners as it gives a very clean, finished look to the kitchen and is dimensionally stable, unlike plywood, which usually requires additional finishing or painting and sometimes is susceptible to bumps and cavities in the material due to its construction. When buying cabinets for your kitchen, it often can be overwhelming trying to decide on the color and style that fits your kitchen and lifestyle the best. If you decide to go with hardwood cabinets, adding a darker finish will add class while lighter finishes will brighten smaller kitchens and complement contemporary looks. Many homeowners choose black or white cabinets for the home, but it is becoming more and more common to see kitchen cabinets rolling out in a variety of different colors and shades, such as a bright yellow or a deep, dark red. The style of the cabinet doors is another way to add a personal touch to your cabinets and your kitchen altogether. You can choose from framed or frameless kitchen cabinets, with door styles that range from simple flat-front facings to intricate, multi-level designs. Some of the most common door styles of kitchen cabinets include Shaker, Cotswold, and Square Route. Putting the finishing touches on your cabinets can really complete the look of your kitchen. Using cabinet hardware, such as cupboard knobs or cabinet drawer handles. When choosing hardware, it’s important to consider both form and function. Typically, the kitchen cabinet manufacturer will supply you with the necessary standard hardware to go along with your cabinets, but you often have the option to choose from a wide selection of handles, knobs, and other hardware that they carry. As with anything else, it’s important to do your homework when buying kitchen cabinets. You’ll not only want to look for a manufacturer that makes durable and quality products. The best manufacturers will offer free in-home consultation to measure the space of your kitchen and to review and discuss potential materials, styles, and finishes that can be used. Be sure to ask them any questions or concerns you may have and be sure to discuss the functionality of your kitchen so that they can get a sense on how to achieve your ideal space. 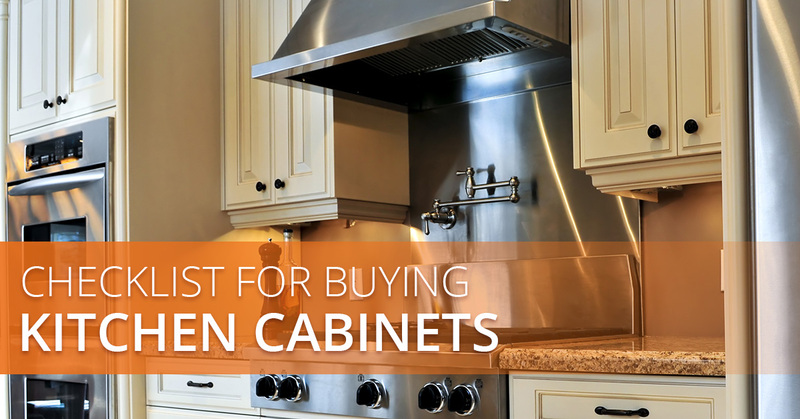 By checking off these important steps when shopping for new kitchen cabinets you will be better prepared to purchase cabinetry that fits your taste, budget, and lifestyle. Looking For Top Kitchen Cabinet Manufacturers in Barbados? 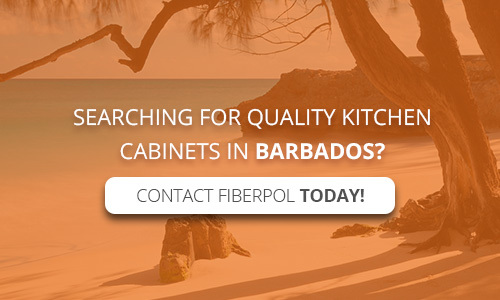 If you need kitchen cabinets in Barbados, contact one of the leading kitchen cabinet manufacturers around, Fiberpol! We offer a wide selection of various styles, materials, and finishes of cabinetry for your kitchen. We offer thermally fused melamine cabinets, but also have other available countertop materials. We not only sell quality custom kitchen cabinets, but our professionals can deliver your new cabinets to your home and quickly install them! What’s more, our products come with a five year warranty. To learn more about our available options for quality kitchen cabinets, contact us today!